HOW TO WEAR BRIGHT COLORS FOR SPRING! Home spring fashion	HOW TO WEAR BRIGHT COLORS FOR SPRING! Hi again! So you want to know how to wear bright colors for spring? You’ve come to the right place! Now, I’m not the girl that wear super bright colors from head to toe. I admire those girls who can do that, but its just not my thing. However, I surely love pops of color to bring a colorful vibe to my wardrobe. Its the safe route, but I’m here for it! I think this outfit is a great example on how a sprinkle of color can definitely be a game changer to an otherwise plain outfit. My bold, blue plaid shirt and the vibrant orange of these GORGEOUS mules are pretty much everything! Its just enough color to balance out the crisp white pants too. So here are a few simple tips on how to wear bright colors for spring. Are you ready? Let’s go! Don’t overthink it: Wearing bright colors can be a little overwhelming for someone who isn’t use to it. So don’t overthink it. Do it to your comfort level so that you can rock your bright colors in confidence! 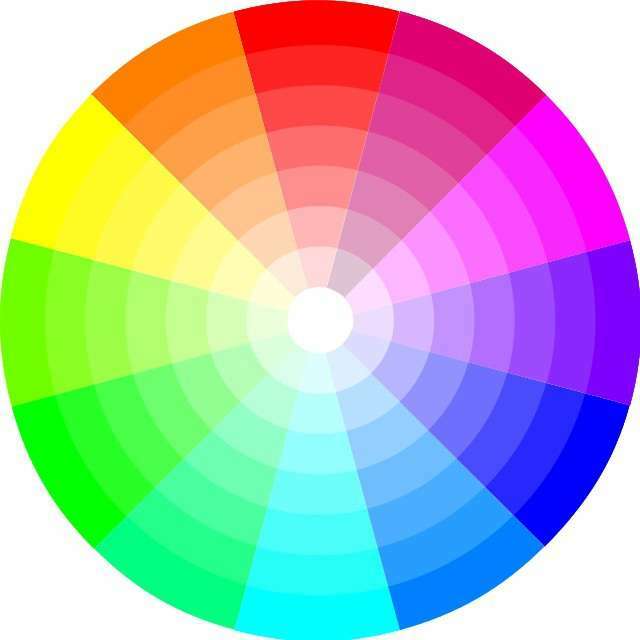 Check out the color wheel: The color wheel is GREAT tool when you are trying to determine what colors would look great with what. I often times pull it up so that I can get inspired of new color combinations. Its the perfect guide to have on hand when you are uncertain of what can work. I like this one because it gives a variation of shades for each color. USE IT! Start with shoes and purse: Again, if you are not into all over color, your shoes and handbag is a perfect place to use it! In this outfit, you can see the orange is my pop of color and it works. Your eyes aren’t going all over the place taking in the colors. Shades like orange, pinks, teals and greens are perfect for a “pop” of color! Accessorize: There are some gorgeous, bright “spring” accessories out there. I absolutely love using accessories to include color. I’ve made it easy for you and linked some beautiful options for you below. Speaking of , I’m OBSESSED with these! Makeup and Nail Polish: You probably didn’t consider letting your eyes, lips and nails doing the talking on wearing bright colors. But, you should! I would suggest not going super crazy in this area. But, hey, do you girl! A bold lip, bright eyeliner or colorful mani in pinks, oranges, purples and teals always look amazing and so vibrant for spring. I can’t wait to pull out some teal gel eyeliner and I already have my white mani and pedi (another cute option) right now. I hope you enjoyed these tips on how to wear bright colors for spring! Are you a fan of bright colors? How do you incorporate it into your wardrobe or look? I’d love to know! TOP TEN SUNGLASSES FOR SPRING! CLOSET REMIX: NEW SUEDE JACKET AND OLD FRINGE SANDALS! White Shirt, Blue Jeans and Killer Heels! Love this!! The accents of color are perfection! Thank you Maggie! Nothing like some color to say spring is here right? !